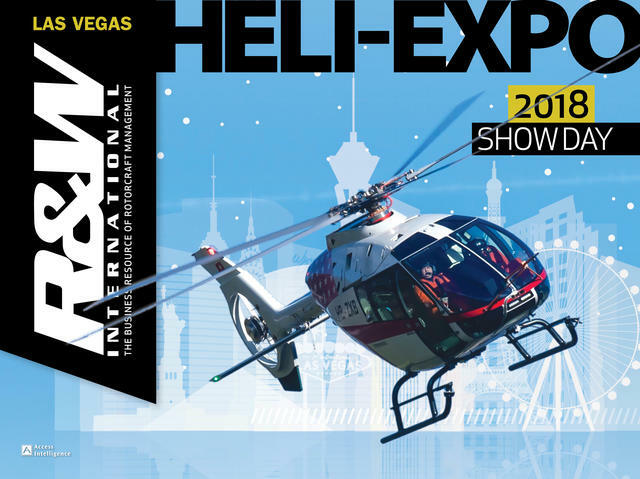 As the rotorcraft industry and its representatives gather in Las Vegas for Heli-Expo, most will wonder how operators and original equipment manufacturers are breaking through the industry downturn that has dampened much market activity in the past few years. At this time last year, low oil prices contributed to skepticism toward a recovering market. 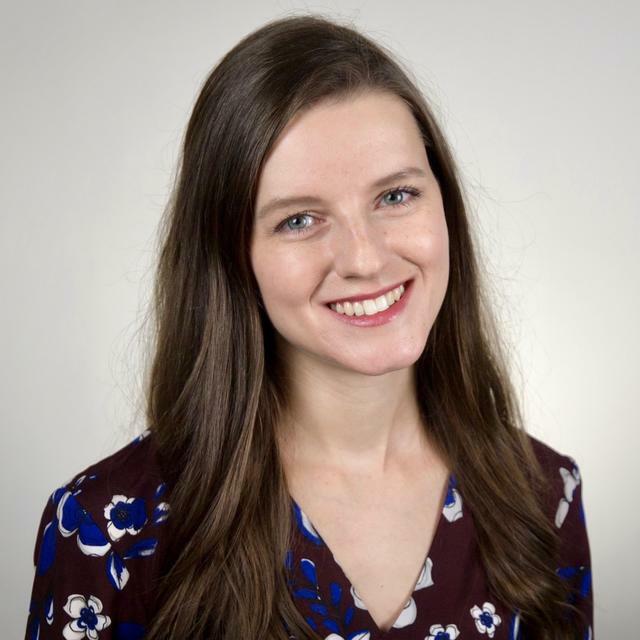 This time (at publication), oil prices with West Texas Intermediate and Brent crude show a $10-plus price increase per barrel — from the mid-$50s last year to mid-$60s this year — which could spur some interest in increased oil drilling. But with the number of active offshore oil rigs remaining stagnant from last year, focus on new markets and new business opportunities is growing evermore important. 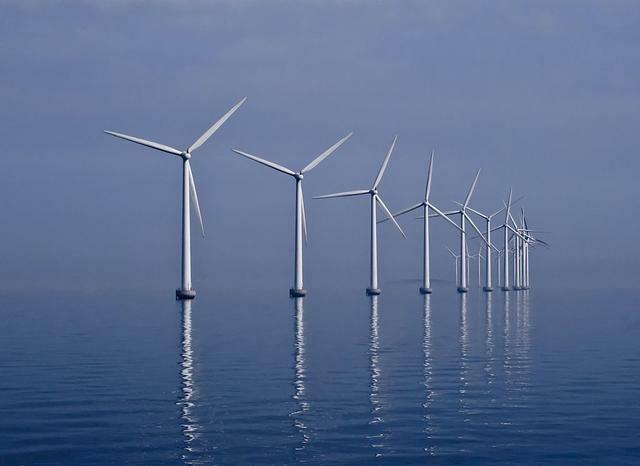 But the offshore market might be rebounding somewhere: in wind farms. Waypoint Leasing (booth N4106) has identified offshore wind farms as a market that could stimulate the helicopter market. Although currently a small market, offshore wind farms are gaining popularity and, with them, a need for transportation to them. Read more on this development here. With this growth potential, super-medium helicopters like the troubled Bell Helicopter 525 might see opportunities. Excessive vibration led to the fatal crash of a 525 prototype in July 2016, but the program resumed July 2017. As a recent study Waypoint conducted shows, popularity of the emerging aircraft class should increase along with the rebounding oil and gas market. Take, for instance, the U.S. Navy’s Fire Scout program consisting of the MQ-8B and MQ-8C. In 2017, it completed successful demonstrations and tests, including a two-part demo with two radar-equipped MQ-8Bs that handed off controls from one mission control system to another. 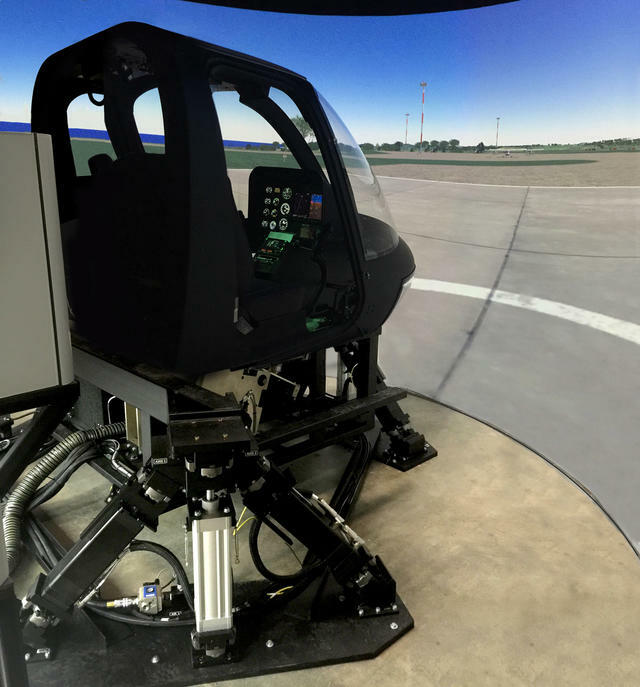 New and future rotorcraft programs are exhibiting trends in incorporating further autonomy and technological innovations that would make once-farfetched concepts like urban air mobility a reality. Airbus’ (N1915) A3 (“A-cubed”) last month flew its Vahana electric vertical-takeoff-and-landing drone. The Silicone Valley outpost hopes to use the technology for autonomously transporting people or cargo within cities in the future. 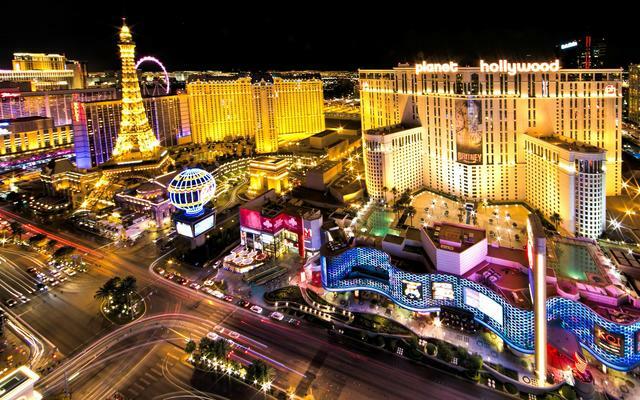 Furthermore, Bell Helicopter was the first helicopter manufacturer to exhibit at Consumer Electronics Show (CES), held in Las Vegas early January. The company will have on display at its booth (C5122) at Heli-Expo one piece of technology it had revealed to CES attendees — its air taxi cabin design that incorporated elements from its FCX-001 demonstrator it revealed at Heli-Expo last year in Dallas. The interior features a user experience control center with internet connectivity, video conference calling and other in-flight entertainment features. The choice to reveal the new air taxi cabin at CES shows, as does its partnership with Uber, that Bell sees real future potential in the concept of urban air taxis that could provide aerial relief to drivers in traffic-choked cities around the world. Bell also is using drones to gather insights into research and development of future airframes. 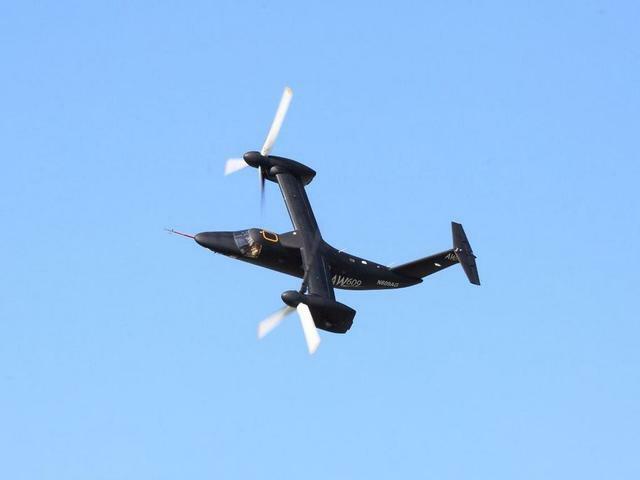 Last month, it unveiled the Hybrid Drive Train Research Aircraft (HYDRA), an unmanned platform powered by 12 individual motors each with 15 pounds of thrust to research advanced propulsion systems for future applications in the manufacturer’s aircraft. You can read more about that here. The industry is also witnessing a growth in attention to the concept of the connected helicopter. 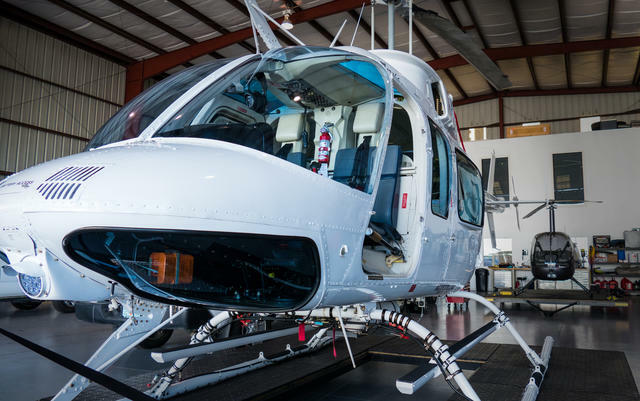 Operators and safety consultants agree that equipping aircraft with flight data monitoring (FDM) and health and usage monitoring systems (HUMS) is a necessary, crucial practice toward improving safety in helicopter operations. 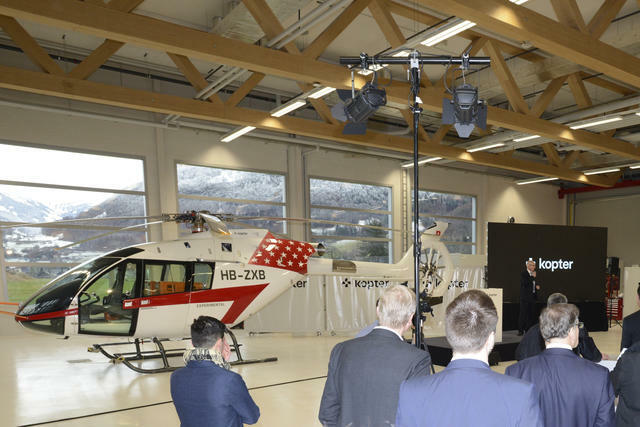 In fact, the CEO of Marenco Swisshelicopter-turned-Kopter said satcom and other modern avionics are becoming expected features. The manufacturer will be displaying its clean-sheet, single-engine SH09 with new branding at its booth (N4615). Honeywell unveiled its new HUMS solution, Recon, this week. You can read more about that here. We also spoke with aviation safety consultant Keith Cianfrani, who discusses FDM here. “When you look at our smartphones and you see how much you use it right now compared to 10 years ago, you clearly realize that there is something to increase hugely the capability to deliver services, and you can do it through economical, practical ways,” said Safran Helicopter Engines’ (booth C4743) customer satisfaction VP, Fréderic Bugeon. Last year’s sentiment revolved around the phrase, “The Promise of Tomorrow.” Tomorrow has arrived and with it, many promising growth opportunities will run rampant. Show updates from Honeywell, Frasca, Universal Avionics and more.